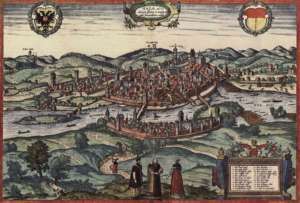 The oil painting by the Flemish-German artist Frans Hogenberg (1535-1590) depicts a proud walled town in southern Germany, Schwäbisch Hall. In the sixteenth century Schwäbisch Hall was an important hub in the European salt industry, which required massive amounts of firewood. Firewood was at the time the most important energy source throughout continental Europe by far. By the time Hogenberg created his painting (ca. 1580), however, the copious use of firewood in the salt industry had given rise to far-reaching deforestation and thus depletion of the locally available fuel. The painting actually documents this fuel crisis: there is basically no forest left in the local surroundings. It has all disappeared or, to use a modern term, the fuel reserves have been depleted. Remarkably, however, the salt industry, to judge from the painting, does not seem to be all that bothered by the disappearance of the forests. If we look closer at the painting, we can see that they are able to continue evaporating the brine because they have managed to access excellent firewood resources from more distant forests, based on agreements with upstream localities. From these upstream sources, thousands of logs of firewood are transported downstream on the Kocher, the local stream. This is now almost half a millennium ago, and the world has changed a lot. However, the legacy of Schwäbisch Hall’s quest for access to remote sources of fuel is very much alive in our own age. 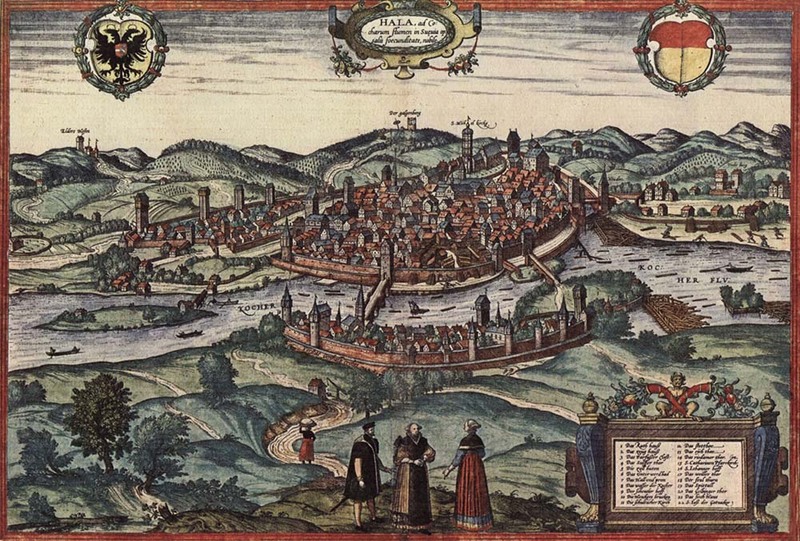 One could even argue that Europe as a whole is in a similar position as Schwäbisch Hall was in the sixteenth century. 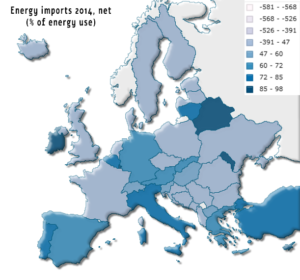 Europe’s local energy sources have been – or are about to be – depleted. Europe has, with lignite as the main exception, become almost totally dependent on imported energy. Another way to express this is that the European energy system has gone through a radical globalization process. Indeed, it is energy’s globalization that largely defines the European energy system and its evolution over the past 150 years. What will happen if and when Europe manages to phase out its dependence on fossil fuels and uranium and replaces these energy sources by renewables? Will the trend towards ever growing European import dependence be reversed? Will Europe once again be able to produce most of its own energy, as in the age of firewood and charcoal? Or will we see the emergence of new, unexpected patterns of globalization? One thing is clear: growing volumes of wind and solar energy creates a new reality in which electricity will play an ever more central role. Only 13% of all electricity in Europe was exported in 2016; most countries are more or less self-sufficient. Since the 1990s, old transnational electricity ideas of building a European “supergrid” have been revived, partly in the context of changing political landscapes in Europe and the world, and partly because of technological change in wind and solar energy. However, the transition to wind, solar and other intermittent sources of electricity poses a huge challenge to electricity transmission grids. In this context a number of grand visions are now taking form, centring on the construction of a European supergrid – that is, a grid that spans all of Europe and which does not necessarily respect national borders. The EU Commission, in particular, is very eager to see such visions materialize, because just like the electricity visionaries of the 1930s they think that greater European integration in electricity will also strengthen Europe’s political cohesion.25 And so electricity and the transition to renewable energy may, arguably, become a pathway for Europe in overcoming current separatist and protectionist trends in European and international politics. European electricity transnationalism may become a way for Europe to find its way in the current age of globalization.